www.pch.com/respond – you create an account on PCH and enters this sweepstakes, you will get a chance to earn additional entries into this contest. PCH will send you emails that you will have to open to claim your additional entries for the PCH $5000 a week forever contest. You can also claim these additional entries by launching the PCH app on your phone or by logging into your PCH account on the official site. Try to check your emails, the official PCH site or the official app on a daily basis to claim all your entries. 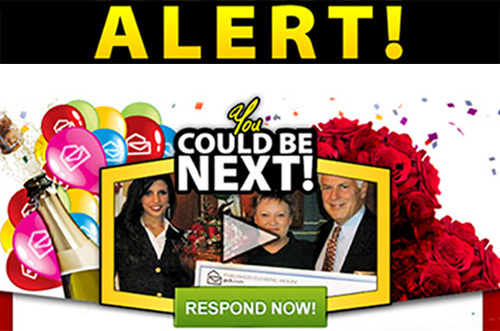 After that you need to be alert to their ~Daily eMail Newsletter where Publishers Clearing House give all the opportunities to increase your chance of winning a prize. Here’s an example on what kind of email PCH are sending to their registered members: “From PCH Newsletter: with a Millionaire-Making Prize at stake from Gwy. No. 88OO, there is sure to be a lot of excitement! Imagine the PCH Prize Patrol at your door and your neighbours coming out to see what all the commotion is all about. Some thrilled for you! Some probably more than a little bit jealous… And it all could happen to you in just weeks, Dear Member! But you have to hurry! If you want win PCH $2.6 Million At Once Plus $2,500.00 A Week For Life and become the star of our next Winning Moment, Win $2,500.00 a Week FOREVER – You’d get $2,500 a week for life, then after that, someone you choose gets $5,000.00 a week for their life! – Respond Now – pch.com/respond and certainly before the October 24th! We’ll soon be taking a “Special Early Look” for a winner and, dear member, your life could be changed forever from THIS very Notice! Amazing! So what are they saying, well, simple, YOU have to TAKE ACTION – ACT NOW by responding to this alert!!! Are There Other Prizes you Can Win? Indeed, PCH is always offering new sweepstakes and you should take the time to enter all of them to increase your chances of winning a prize. Once you have entered the drawing for the $5000 a week prize, take the time to enter the other sweepstakes with other cash prizes. You can also play online games on the official site or app to earn tokens which can be redeemed to enter monthly sweepstakes. You can earn smaller cash prizes with these monthly sweepstakes as well as gift cards and different types of products. Read this article for more information on how to increase your chances: How to Win PCH Sweepstakes? Get all the Opportunities! If you have been contacted by a scammer, please don’t hesitate to fill out a Scam Incident Report on PCH Official Website. FACEBOOK OPPORTUNITY TO WIN $1,000,000.00 ! PCH 2 New Notifications, I am claiming ownership and active 2 New Notifications, SEARCH #1 entries to win $7,000.00 A Week For Life, GWY #11000, 12/21/18. I want to win this prize. I AM IN IT TO WIN IT. PCH DO NOT DISCARD, I am claiming ownership and active do not discard entries to win $2,500.00 a week forever, but after, a beneficiary of the winner chooses will receive the same amount, 10/26/18 GWY #11000. I want to win this prize. PCHSearch&Win Now The Last Step is complied . I want to win the prize $2,500.00 A Week “Forever”! Gwy #11000 on October 26Th. I hope to be the next PCH SUPER PRIZE WINNER and have Publishers Clearing House park in front of my address with Ballons ,Bubbly and a Big Check .Meeting the famous Elite Publishers Clearing House Prize Patrol Members would be an Honor. Yes I wish to be a winner on October 26th for 2500 a week forever it would be a dream come true for me. Clint henderson September 17 2018 i claim entry for 2xentries to win 2xentries to win 2,500.00 a week forever. Would like my upgrade from this notice so that maybe i can win PCHGWY no. 11000 on 10-26-18 so that i can help my family with their bills and other matters plus my favorite charities. I want to Enter to Win $2,500.00 A Week “Forever” from PCH GWY No.11000 on Octuber 26th. PCHSearch&Win $2,500.00 A Week “FOREVER” Instant Prizes Awarded to Winners All Day Long! 5- Prize release #5 Wake Up & Win. $2,500.00 a week forever gwy #11000 please enter me in now Thanks. 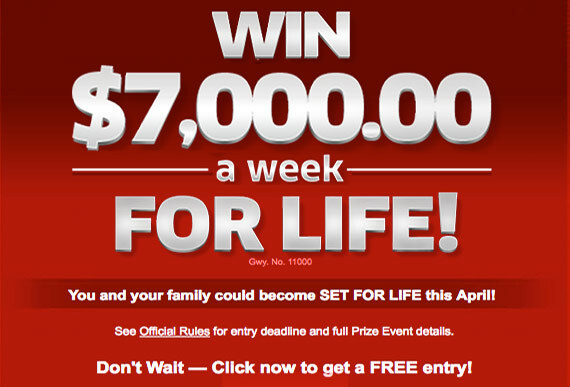 WIN A $1,000.00 A DAY FOR LIFE! I could get my yard in order and a tree cut down before it falls into my house. VIP ELITE…PCH Frontpage…Last Day To Enter…I want to win $1,000.00 a day for life on August 31 plus win up to $1O,OOO.OO from (PCH Gwy. No. 12284)Pay day event.. Please active my entry for the win. Thank You. I do not know what website means or is. 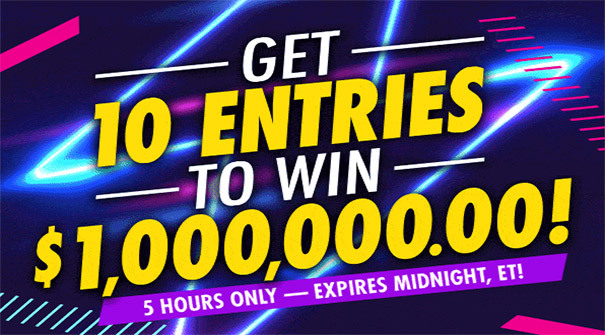 I’m hoping to win the $1000000 prize and the$1, 000 a day prize for life with the number (GWY.11000) on August 31st 2018 . yes. yes. yes. yes! How I would love to be a person Clearing House winner for the $1000000 prize$1,000 a week for Life prize I guess I would really have to win to know how I will feel so I’ll keep playing. PLUS $1,000.00 A WEEK FOR LIFE! Pch Superprize Winners Final Winners Selection List To Win It Al! Hi, PCH TEAM & PCH’s LAW TEAM. #02. Over $12 Million in Prize Funds Available for Award This Week (5/31-6/6)! -Hopping This Prize Is for THUIRMUS L. WILLIAMS. YOU Could Get Rich Fast Starting This June! PCH Contest | Win $1,000,000! + A New Car – GUARANTEED! I am responding to that I want to win one million dollars for life plus one thousand a week for life plus a brand new Ford explorer platinum to comfirm my entry please gwy 11000*!!!! I really want to win. I Ulises Zacarias Cliam sole, Ownership of PCH GWY.NO 10074 , 11000 , $2,000,000,00 plus more at Stake and of Becoming A VIP ELITE Millionaire-Making on April 27th 2018 could you please Activate my numbers thank you . pch confirma notificacion just one step to winning number generator fo $7,000.00 a week fo life. I am claiming prize 11000 from Publishers Clearing House Sweepstakes. Activity my superpuestas gwy 8800!! pch confirma forever $5,000.00 a week for life!!!!!!! pch prize patrol pch confirma entry prize numbe!!!! Confirma my entry please gwy 8800!!! I have been playing for over 30 years. It would be a wonderful dream come true. Hope is good for the soul…..
Hello Prize Patrol Elite Team I Debra Patterson Claim Soul Ownership SuperPrize Confirmed#10950, #10074, #10424, #10184,#10078, #10425, #7533, #10869 ,#11000, #3577. Please include these Numbers with all other Numbers I Have Entered and submitted , please Activate my Entries For February 23/2018. Happy holidays. With Love DP in Tx. Yes, I’d love to Win PCH on February 23, 2018 it be my Dream Come True Forevermore love always Clearinghouse!! PS Pretty Please.. I Isabelle Meserve, would finally take the last step cor the shot to win the 7000.00 a week for life at publishers clearing house. A super prize sweeptstake giveaway #8800. To be decided by Febuary 23rd 2018. On this proud evening of the. 30 th.of January 2018. At 2hat seems to be my normal time I claim my tokens ,bonuses , and my enturys I say let’s save the best for last.I hope a whole lot if I’m in the right spot. Please accept and validate my forthcoming #s for giveaway #8800.7000 for life forever. Then do the family thing spend time with my dad get him on a cruze. Hair dye. THEN I WOULD.HELP THE WORLD BE A BETTER PLACE.AND HELP THE PEOPLE WHO ARE IN POVERTY. AND HOMLESS.PROGRAMS THAT WOULD HELP THEM AND TO CHANGE THERE LIFEAND NOT TO LOOSE THEIR PLACE. AGAIN. I BELEAVE IN HARD WORK DEDICATON IS A GOOD CURE FOR Hardshipswe face in life.an make better times for people who need and want to help themselves.and their family. I first would want to enjoy the victory with the prize patrol and the crew at my house 5355 river rd. In Oregon. And thank you for all the encourage ment an the heart you’ve shown me…never quit some home said.I’m still hear .your the best start and to finish. I hope to see you soon. With the bells and whistles.an this is strange I first finished early today. So PCH make .me Awinner.I want this .sincerely isabelle M.
I want to be the winner for gwy no.8800 $5000 a weeknow also for gwy no.8035. I know Jesus Christ is in the blessing business. #01. Urgent Notice, THUIRMUS WILLIAMS! – ……. .
#02. This Opportunity Expires At 11:59 PM Tonight! #03. Millions Of Dollars At Stake! – ….. . 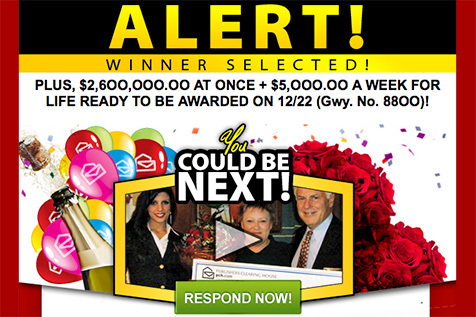 I ACTIVATE PCH GWY NO.#8800 $2,600,000 LUMP SUM PLUSE SUPER PRIZE $10 MILLION.. THANK YOU PCH… JOSIE V PATLAN !! Valid with prize number to be issued, reservation ticket no: LI300 – PREV22318. Including $4,765,625.OO in the weekly PCHlotto PowerPrize drawing. you would also win $5O,OOO.OO! #01. T. Williams: Accept or Surrender Your Title! – l-(THUIRMUS L. WILLIAMS) do Accept My Title from PCH TEAM. THANKS. #02. We must have your decision regarding Williams Prize Number Ownership! – THUIRMUS L. WILLIAMdecision is to fully Accept The Prize Number Ownership to WIN. #03. Thuirmus Williams, You decision immediately! – I-(THUIRMUS L. WILLIAMS) now tell PCH TEAM & PCH’s LAW TEAM. I have made the decision to ACCEPT. #04. We Urge You To Accept Your Title Now! – PCH TEAMS, in this you can see l have made My Decision To Accept this by E-mail or mailed to my Post Office Box in Towson, MARYLAND. #05. Accept your Title by the 1/12 (11:59 PM, ET) deadline… . #05. Hurry, Thuirmus – we need your response by the 11:59 PM,ET deadline TONIGHT! #02. Thuirmus, Time is Running Out To Claim The Incredible Opportunity in This Notice! #03. Thuirmus, the clock is ticking on a very special surprise! I want to win $5,000.00 A WEEK “FOREVER”! PCH GWY.No.8800 ON 23 RD! so sad that i didn’t win so i can have my dream come true maybe 2018 will be my year. i want to have a dream home for my family. PCH ACTIVATED CODE $2.6Million Million Plus More On February 22nd,2018! I am claiming #8800 to win the turn back time prize, and all moneys that come with my #8800 on dec.22,2017. #02. Available For A Time Only $2,700,000.00 AT ONCE – Plus – $5,000.00 A Week For Life! #03. Do not let your Prize Number ownership go unclaimed. – I am looking for this Prize Number. Can I receive it by U.S. Mail? I am trying to walk by this Prize Number. The Notification. #02. This is Your Publisher Cleaning House to WIN. DECEMBER 22, 2017 WINNER OF $2.6 MILLION, PLUS $5,000. A WEEK FOR LIFE!!!! DECEMBER 22, 2017 WINNER OF $2.6 MILLION, PLUS $5,000. A WEEK FOR LIFE!!!!! I, Alan McCandlish, official hereby along with Pch accept my title forthcoming super prize number and activate deposit of to deposit superprize number to official final winner selection list and unlock prize number to win forever prize with my earned winning numbers. #02. Thuirmus, You Could “Turn Back Time” On 12/22. 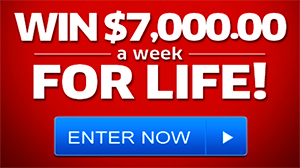 I am entering my chance to win $2.6 million, plus the $5,000.00 a week for life. I’ve been entering for 11 years now, with the hopes of being that lucky winner on Dec.22nd, 2017. Lourdes Iduate, Confirma that you will ACCEPT your APPROVED Prize Number, qualified to win our dec “Forever” Prize with the ACCELERATED CASH PAYOUT. Hi I would like to win. And I believe I’m waiting for my winnings. I also win a car. When I can get them? 2.6 5000a week for life. Win 1 Million plus 5k a week for life. I have been entering pch contest and buying from them for the past 26 years and never won anything I see them showing people winning but I wonder if they are not actors because I never actually see a person that says they won anything from them. Would love to be a winner of 8800! having been enter since 1993 til now trying to win! I do beleive i m going to win one day! Thank you!!! Wishing you a great night. THANK YOU. I AM WAITING FOR YOU COME TO MY HOUSE. PCH I hope my winning number comes up. Die Hard in my language “never give up.” I was surprised that a movie was titled that which made me smile. I use that as a boost to go ahead and yes it’s done: I’m hereby entering and claiming the Dec. 22, 2017 prize of PCH $2,600,000.00 Lump-Sum Payment Plus $5,000 a Week for Life. Thanks again for the opportunity and the attention! Please match my name to prize number. Doing this for 36 years, so many of my family & friends need help !! I believe in vets @ pet too !! !